This Artistic Weavers Macul accent rug is sure to add to the modern dicor of any home. Designed to decorate an indoor space, this plush jute material rug is high quality. Contemporary comfort comes in the form of this hand-made rug. Quality and style come first with this solid patterned red rug. This modern Artistic Weavers Pamier accent rug will instantly improve any room you place it in. Decorate the right way with this indoor piece constructed from plush wool material. Contemporary comfort comes in the form of this hand-made rug. You and your guests will enjoy the lovely oriental pattern that decorates this red rug. Bring this Artistic Weavers Saffre accent rug into your dining room for an easy splash of style. This indoor piece is made from plush wool material, which is high quality and high fashion. This rug is hand-made, which ensures a strong product. The geometric pattern on this red rug is very modern and stylish. Add this high quality Artistic Weavers Sahurs accent rug to your home for an instant splash of style. Great quality is assured with this indoor piece made out of plush wool material. This rug is hand-made, which ensures a strong product. Modern style meets quality in this geometric patterned black rug. Macul Red 2 ft. x 3 ft. Indoor Textured Rectangular Accent Rug This Artistic Weavers Macul accent rug is sure to add to the modern dicor of any home. Designed to decorate an indoor space, this plush jute material rug is high quality. Contemporary comfort comes in the form of this hand-made rug. 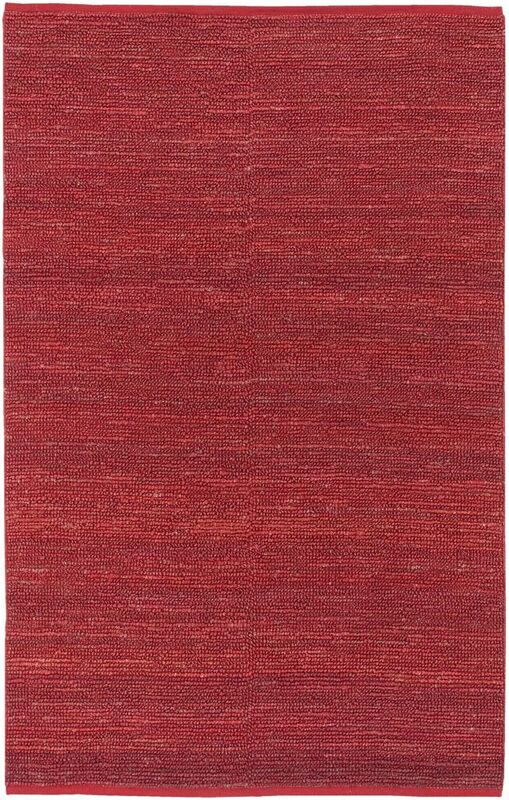 Quality and style come first with this solid patterned red rug.